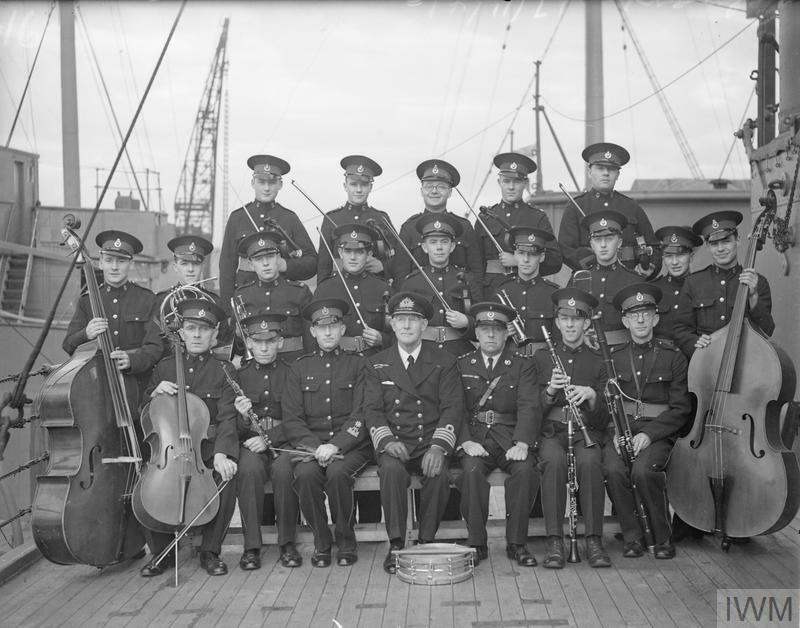 THE ROYAL MARINE BAND OF HMS COCHRANE. 16 NOVEMBER 1941, ROSYTH. 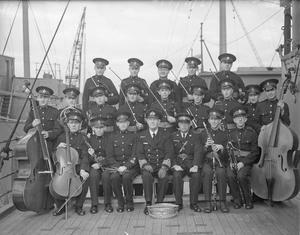 The Royal Marine Band of HMS COCHRANE. Captain Cyril H G Benson, DSO, RN, (Rear Admiral ret'd) of HMS COCHRANE is seen in the centre, with Captain P T Taylor, RM. SCENES AT ROSYTH. NOVEMBER 1941, ON BOARD HMS COCHRANE.